Illinois gubernatorial candidate J.B. Pritzker speaks at an event. Pritzker apologized Tuesday for comments he made about black politicians. 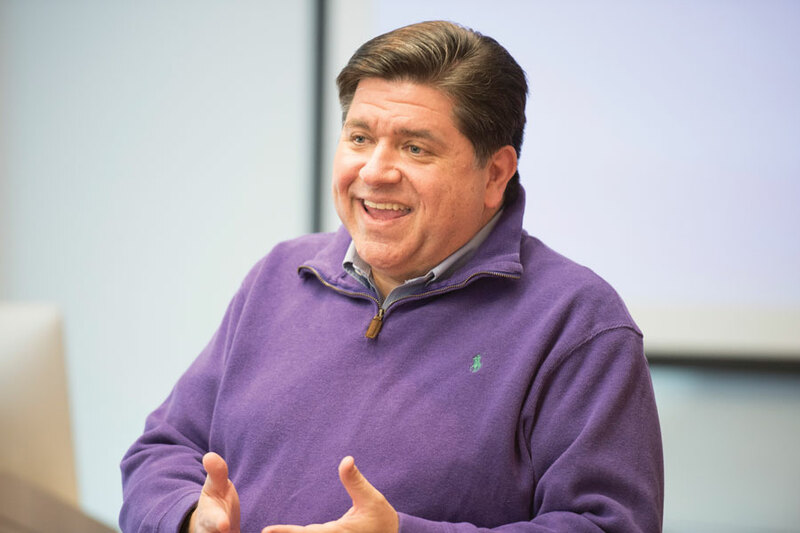 Democratic gubernatorial candidate J.B. Pritzker apologized Tuesday for recently revealed comments he made about black politicians in 2008, according to a Pritzker campaign statement. Early Tuesday, the Chicago Tribune reported on a 2008 conversation — recorded by an FBI wiretap — with then-Gov. Rod Blagojevich, in which the two discussed filling former President Barack Obama’s U.S. Senate seat. White, who is running for reelection, endorsed Pritzker for governor earlier this year. White’s political director Rocco Claps said the secretary of state is standing by his endorsement, according to the Tribune. In his apology, Pritzker said he has been friends with White for more than 35 years and that he would have been a great senator. He also said that “I wasn’t my best self” on the call. Pritzker’s Democratic opponents had condemned his comments before he apologized, with State Sen. Daniel Biss (D-Evanston) saying the conversation shows “everything that’s wrong with the connection between money and power,” according to a campaign news release.